This boot has it all. I have owned these for a couple of years now, and would buy another pair in a second. Once in a while, the laces seem to get stuck in the bottom lace lock. This is more or less because of the way my foot is shaped (the wrinkle in the leather makes it pinch in tight) Not the manufacturer's problem though. Not a big issue either. I have used these on numerous multi-day hikes, and have had comfortable and dry feet at ALL TIMES. I really like the beefy toe rand, and the anti lace byte tongue. The grip on these bad boys are second to none (thank you Vibram), never had problems on wet slick rocks or slimy mud hill climbs. The only issue/non issue I have ever had with the grips are the occasional pebble getting stuck in between the tread lugs (nothing a small stick can not cure). 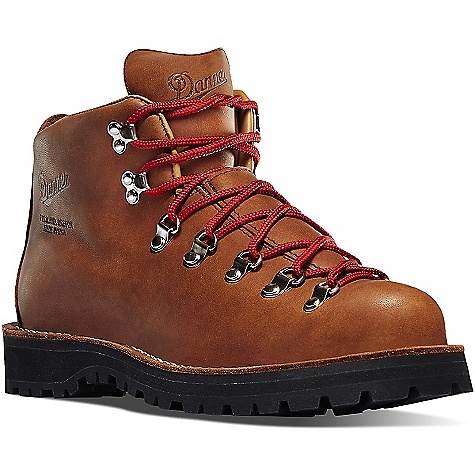 These are bar none, the most comfortable boots I have ever owned, and unless you are going to drop the $500+ on some Zamberlans, these are probably the best bang for the buck boot on the market. I love the bearings built into the lace loops, as it makes for easy non restricted tightening of your boots. They are very waterproof, and when matched with the Outdoor Research Salamander Gaiters, are pretty much waterproof. I have plunged my feet into four plus feet of water MULTIPLE times (albeit quick dunks) and multiple wet winter hikes here in one of the wettest places in N.America (B.C. Coast, Vancouver Island) never once had a problem with water penetrating these boots. Add Nikwax's leather protector and you will laugh in the face of whatever Mother Nature throws your way. Once in a while, my feet get a bit sweaty as these are waterproof leather hiking boots, but I will take that tradeoff for dry feet in wet conditions, any day of the week. GREAT boot, Merrell. You knocked the ball out of the park with these sweet stompers. I love these boots. I have 2 pair. I am really nice to 1 pair, the other pair not so much. I put the boots to the test then to rest if they can not take the punishment. Man these boots look awesome. You can go out to dinner and after you're done you take them on any hike mild or ruff. I am looking to buy a third pair size US9. If anybody wants to make a profit call stacy at 317 494 0708 my name is Stacy Cox. Stiff boot all around, can't wait till they break in. I just bought these and only walked a couple miles with my dog at this time, so it is just on fitment and initial impressions. This is my first pair of leather backpacking (not hiking) boots and knew they would take some time to break in. They were comfortable walking around the store but using them around the house and walks with the dog I started to get warm feet and noticed the toe area was wet (I wore Smartwool Mountain socks). Initially I noticed discomfort at the top of my foot where it bends but this recent walk it wasn't present. Owned a pair of these about two seasons ago. They were a bit tough to get broken in...but once I did they were more comfortable on my feet than if I were barefoot. Truly the most comfortable pair of footwear I had owned to date. They were a great all-terrain hiker, and the double tongue was like having a pair of "croc" gators on. I even made three 4,000 ft. hikes in mid-winter White Mountains with these and a set of Microspikes with no problems. Now the flipside here is how long the boots lasted. Granted I wore them on two hikes up Katadin, two hikes in King Ravine, as well as a few more tame hikes. The first problem I had was some seporation right where the boot flexes as you push off in step. Then within a couple of weeks the soles and the name brand waterproof lines completely caved. A little tougher leather may have not been a bad idea. Besides only lasting me about 8 months, they performed fantastically while I was wearing them. Ever run down a mountain stream without getting your feet wet or slipping? Now imagine that stream is named Tuckerman Ravine. Bought these over a year ago and love them. Right off i was unsure about the fit and thought they might be to narrow for my feet, which tend to run a bit wide, i get EE's for my redwing work boots. I wore these for the first time on an 8 mile hike that had A LOT of up and down steep hill sections. I also had no liner socks on which may have been the problem. At the end of the 8 mile trip my feet were RAW my heels were shreaded and the pad just under your toes felt like it was on fire. I even fooled with the laces throughout the 8 miles tieing them tighter and looser and just couldnt get a good solid fit. These boots almost scared me away and i'm glad i was, to be honest, lazy. I was ready to send these back to rei based on a few other reviews i read where people said the perimeters ran small. After a few months of sitting around one of my friends hit me with a spur of the moment day hike, about 10 miles. I was very very scared to wear these boots remembering the assault they took on my feet last time around. I do have to be fair and mention i had on some wig wamm Gobi liners and some thorlo hiker socks the second time around. Armed with alot of moleskin and duct tape for my hot spots i set out on my adventure. Honestly i cant figure out how they felt so nice with it being the second time i wore them, they felt like your favorite old pair of sneakers this time. My heels never slipped my toes never jammed the toe box, and to further the situation it started pouring down rain about 5 miles into the hike. Even with damp, moist conditions, even steping through mud and rain puddles my feet were honestly 100% BONE DRY. From that day on i have had nothing but confidence in these and would wear them any where any time. And have since become my daily shoes/ boots. It's been a cold snowy winter here in pennsylvania and these boots have kept my feet warm and dry even through deep snow over the tops of my ankel. I would imagine this is a result of how well the gussetts and the top of the boot closure fit around MY ankle anyway. Some of the reviews i read said something about a big washer type feeling or something. And the eyelets letting loose? I have never had anything close to what they are claiming. I tie my boots TIGHT and never have any separation of any of the hooks or eyelets. these look 100% new after a year or so. 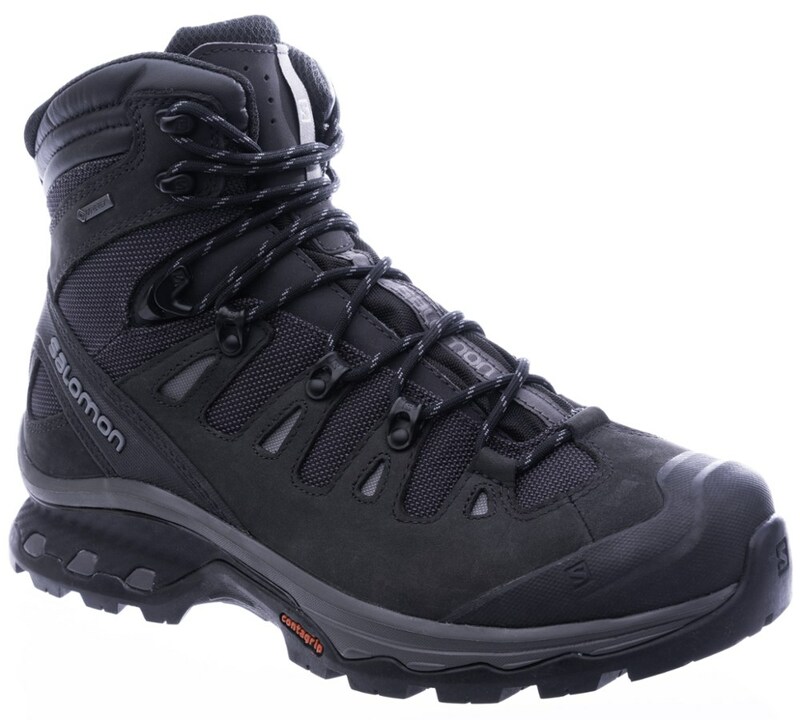 I also should add i weigh about 270 or 280, and i normally carry a 40 to 60 pound pack and still never have any discomfort in the footbed or anywhere else in these boots. I would highly reccomend these to anyone, and have. several of my friends have these and have nothing but good to say about them. I would buy these with confidence and would buy them again. This is my second pair of light MERREL Hikers in the past 16 years...my 1st pair (nubuk finish, can't recall name) finally wore out. The sole wore, not the boot or hardware! 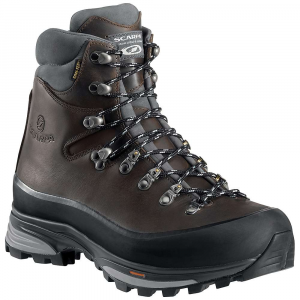 I purchased a pair of Perimeter Gore-tex Novemebr 2010 and within 4 days of just day-to-day wear, the top lace bracket pulled away from the boot! I took them back to the retailer I bought at and they special ordered a new pair. I have worn these ones for two weeks and the same thing is happening. The feel and comfort are amazing, however with two pair in a row doing the exact same thing, it causes me some concern, as if this (lets say) stayed intact past the warranty and then let go....iIwould be buying new boots. From closer inspection, these top lace brackets (not sure the proper name for the hardware) are not reinforced with a plate or anything. It appears that they are just riveted into the fabric. Without question, these MERRELS would not last like my old ones did...16 years vs 4 days and/or two weeks. I have other hikers that definitely have something hard like a big washer or plate that provides that extra strength. I'm very disappointed and have emailed MERREL Customer Service looking for some answers. My advice would be to keep an eye on that top bracket prior to your warranty expiring! I love these boots! Break in easier than expected and do what they are supposed to right off the bat. Waterproof and a great ride. Buy them, love them, and enjoy! First real trip...45 miles over 3 nights / 4 days. These boots carried me all the way. So far so good. I have had many different hiking boots over the years, but I feel like I have really become a Merrell guy. 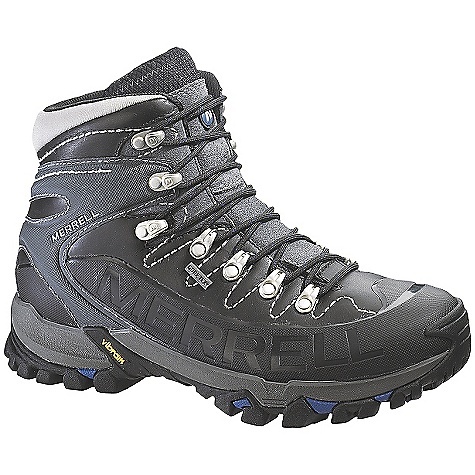 I have another pair of light weight Merrells that have been great and just recently bought these to upgrade my backpacking boots. So far they're great. Much lighter than my old pair of Montrails. 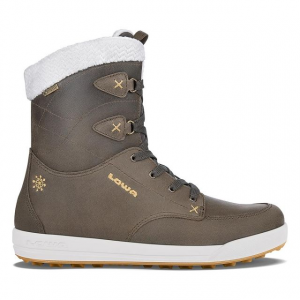 Very sturdy, nice sole and flex, and virtually no break-in. I'm a little concerned how the rand over the toe will hold up, but time will tell. I would recommend them to anyone right now. 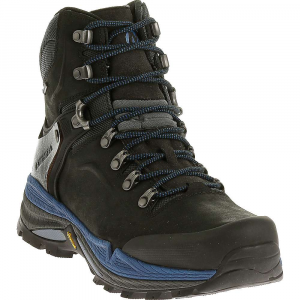 The Merrell Perimeter Gore-Tex is not available from the stores we monitor. It was last seen February 28, 2015	at EMS.